Would like to know how can I fix this. Can you send me test username password so I can check it? change the language to English and try the same steps and it works. One of my co-worker also reported one more issue i.e. if you logout and change language and try to login with correct creds then it redirects you to the same login page, this cannot be replicated everytime. Seems to me that something is wrong with ssl and translated pages or something else. Please change image URLs to relative. I changed the urls to relative and can see them changed without translation but on the translated pages its still picking the absolute urls. Is is something cached and will pick fresh eventually or something is not right? 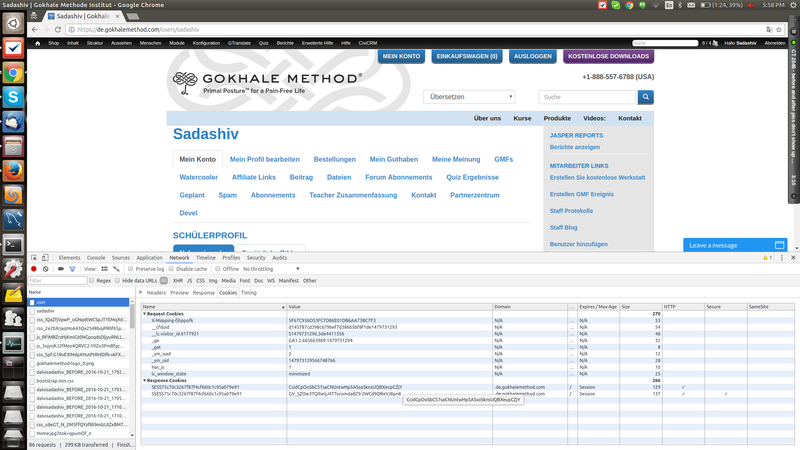 Please set cookie domain to ".gokhalemethod.com" with dot prefix. I already had that in my settings.php (drupal) and now also added to php.ini and reloaded httpd but still can't see the change. Can you update how I can check the cookie_domain is .gokhalemethod.com ? You can find it out by checking your browser cookies for your domain. Right now the problem is that when you login on some language, the session cookie is not shared between your main domain and other language subdomains and you are not logged in in all languages, so when you want to load image from your main domain you are not logged in there too and it fails. If you have cookie domain with dot prefix, session cookie will be shared, so when you login on some language you will be also logged in in other languages. I think the problem is that in case of translated page it's taking wrong cookie domain. You need to make sure that the cookie domain for your session cookie is set to .gokhallemethod.com. If you can send admin and ftp access to [email protected] I can look into. Please mention where should I look if you know. In my screen shots the cookies with pattern SESS* are the session cookies and as you can see the translated pages are showing .de.gokhalemethod.com I don't know why this is happening as I have ".gokhalemethod.com" hardcoded as cookie domain in my php.ini as well as in drupal settings.php file. We will need to solve the issue with cookie domain. If you can provide access I can look into for you. I'll need your ip address so that I can add it to my firewall then I'll PM the creds. I do not have a static IP. My IP changes from time to time. We can't keep a open ssh as we face attacks and cause the network to fail. I can send snippets of files you want and you can verify. Please update which files you want and I'll attach the files or part of the files here. Would like to know whether you can help me to debug this. When I switch the language prior login and then login then I can see the cookie domain as .de.gokhalemethod.com as shown at http://gokhalemethod.com/sites/default/ ... 8%20PM.png I don't understand why this is happening. Can you help me to fix this. 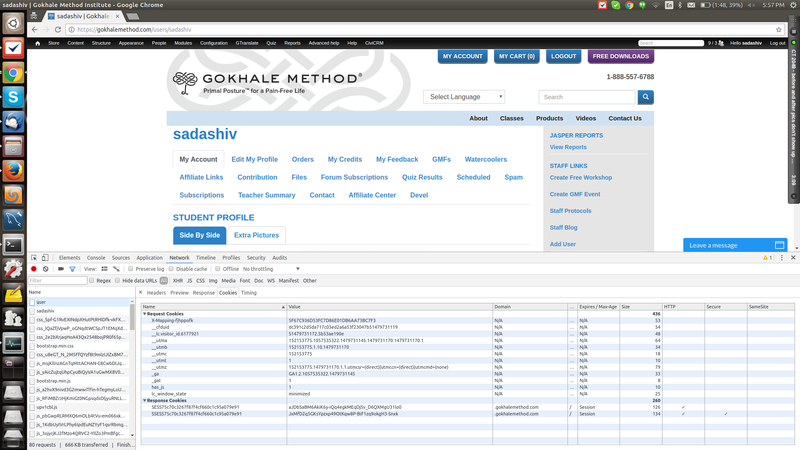 I am sure I have .gokhalemethod.com as cookie domain. If you can send FTP access we can fix it. Please contact by our live chat support.